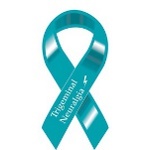 International Trigeminal Neuralgia Awareness Day was established by TNnME (Trigeminal Neuralgia and Me) in 2013. Since then the organization annually sponsors the observation of this day in trigeminal neuralgia and facial pain associations, situated in the USA, Canada, Australia, the United Kingdom and France. Observation of this day is aimed at providing people with information about this condition and possible ways of its treatment. Trigeminal neuralgia is characterized by intense facial pain originated from the trigeminal nerve. The pain is so intense, that this condition was dubbed “suicide disease”. It's estimated that 1 person in 15,000-20,000 suffers from this condition, however, the real figure may be higher due to misdiagnoses. During recent years the cases of TN drew much attention after several celebrities were diagnosed with this condition.